The collection for autumn & winter from the artists of the Gandini Club Team is a study in movement and texture. Curls are used to frame the face, add body and diffuse boredom in large, sweeping waves and precisely-carved pin curls. For the most part, the color palette for the season is natural, with soft dimensional highlighting and a "glow" as opposed to a "glossy finish" in the hair. 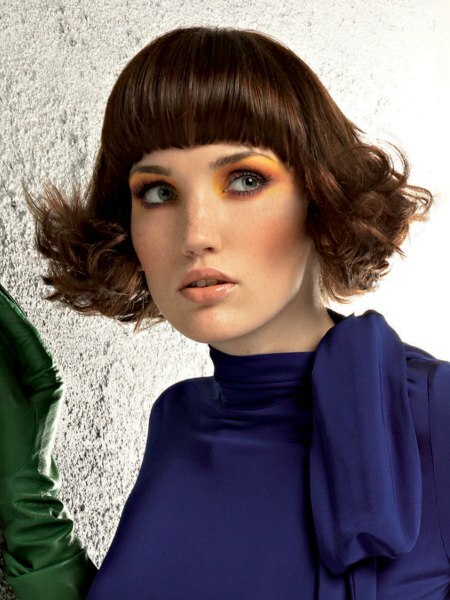 Even the hairstyles with bolder colors use tones and shades that are on the milder side of the spectrum. Classic shapes are transformed with texturing elements and the styles seem inspired by seasonal elements: fall colors and visual patterns seen in wintry trees and wind-blown snowdrifts. No matter their inspiration, the styles are remarkable and unlike many collections, most are suited for everyday wear.